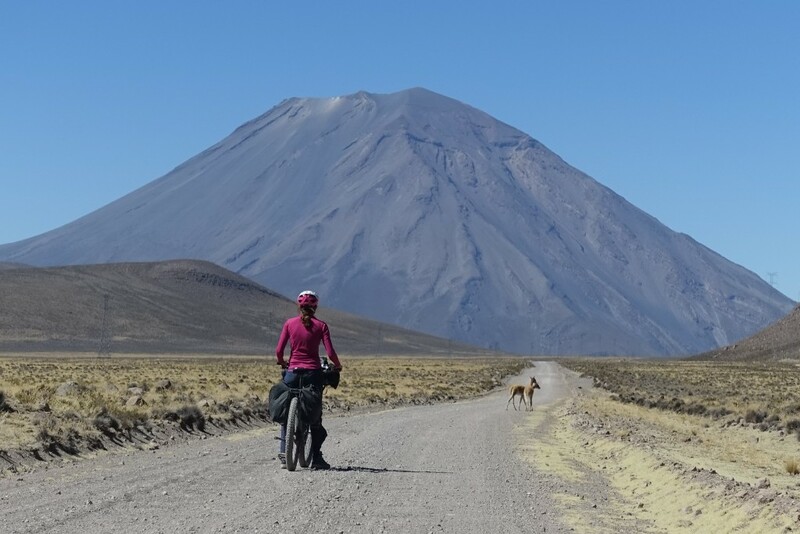 This factsheet should help you to plan your own bike and climb adventure to the volcano „Chachani“. 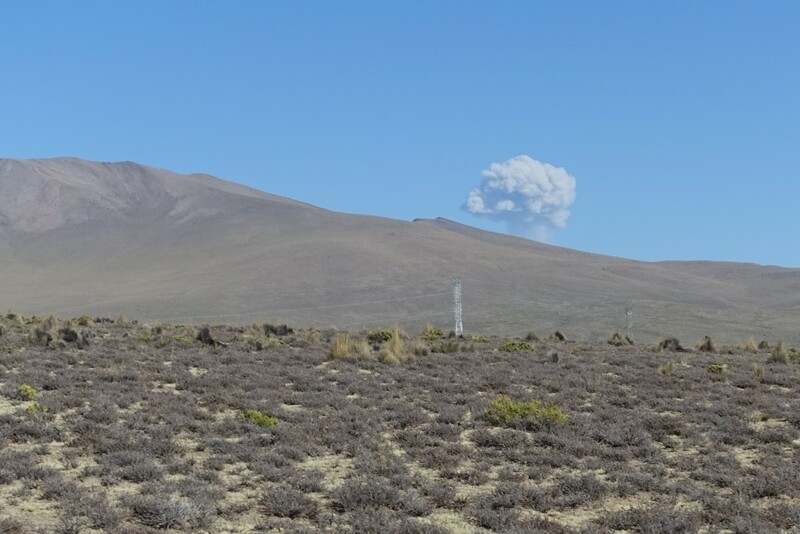 Chachani is a 6000+ meter volcano close to the city of Arequipa in the south of Peru. There are lots of agencies offering trips to Chachani. 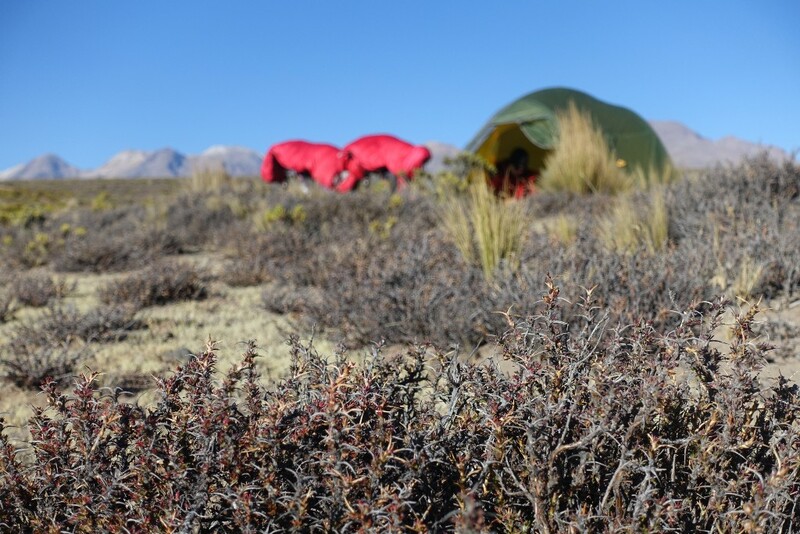 For about 280 Soles (90 USD) you can get a two day trip to Chachani. 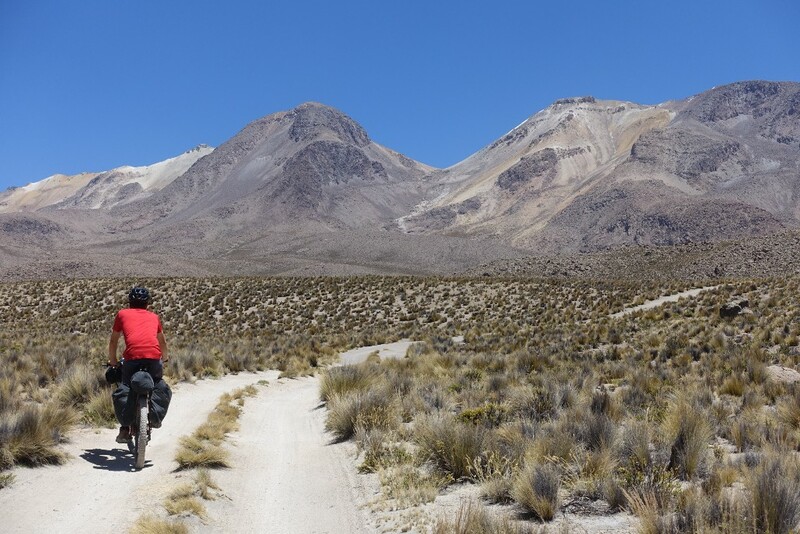 The price is very cheap, but we didn’t like the fact that the trip schedule is (in terms of acclimatization) asking for troubles… On day one you ride up to 5000m by 4×4 vehicle and hike for 1-2 hours to the base camp on 5150m. 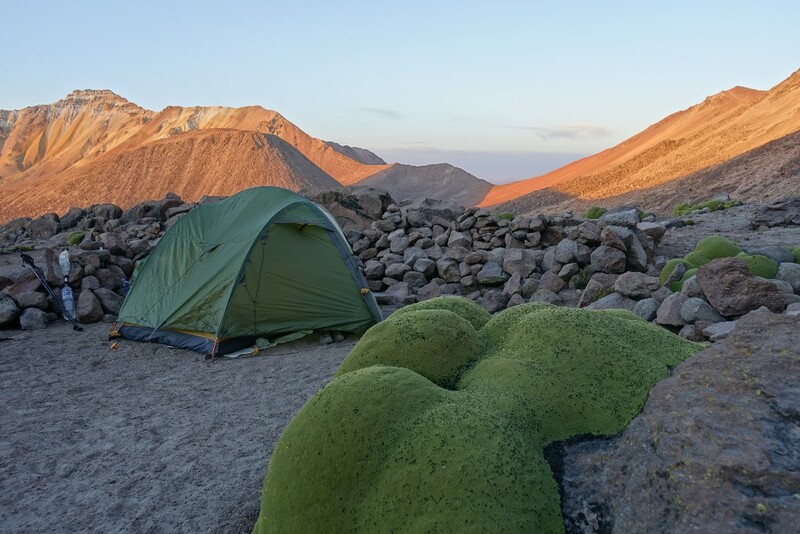 There you set up camp and are likely to suffer from acute mountain sickness, because the ascent from Arequipa (2300m) to over 5000m is just to much for most people. We took 11 Liter for two persons and it worked out fine. 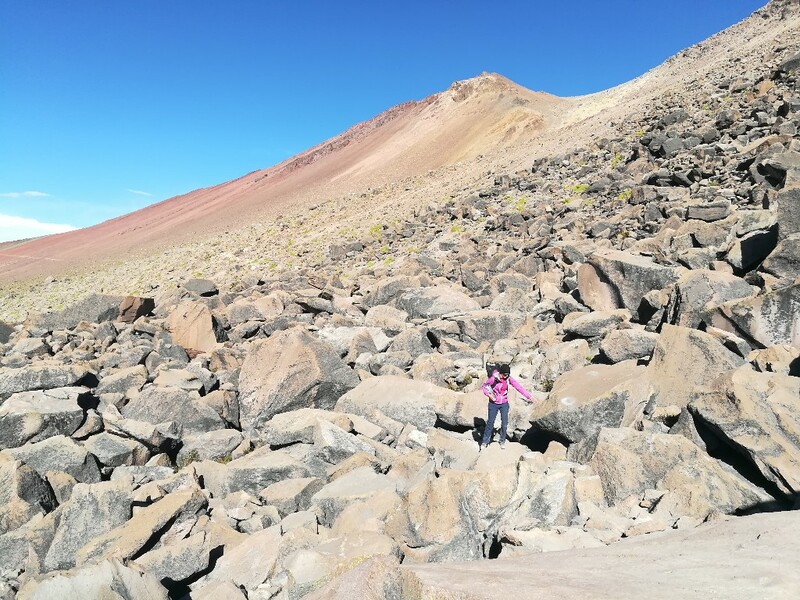 You don’t want to be able to find water until you reach Arequipa. We had to share the road with quite a few Vicunas. The first 15km we rode on a quite ok gravel road. Most of it was ridable, but expect 1 to 1.5 hours of pushing. The riding isn’t easy… Quite steep and the weight of the water doesn’t make things easier. 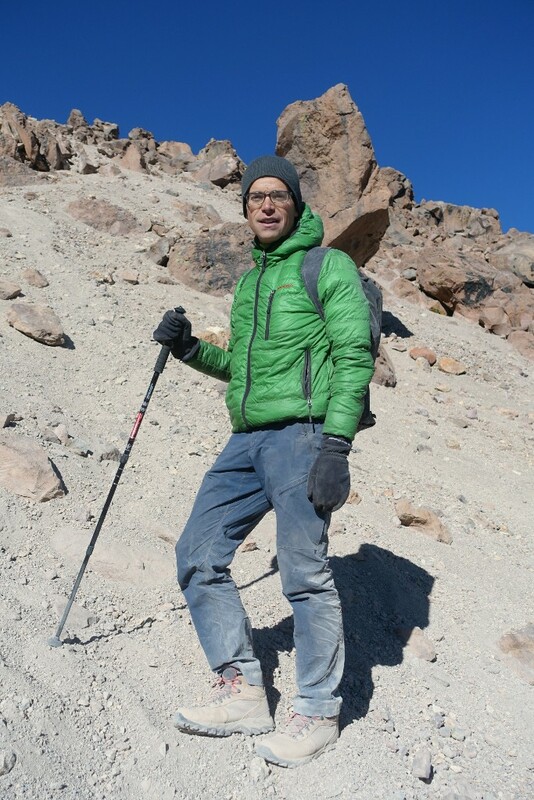 After we did hide the bikes on 4900m we had to walk for another 1.5 houres to the base camp. 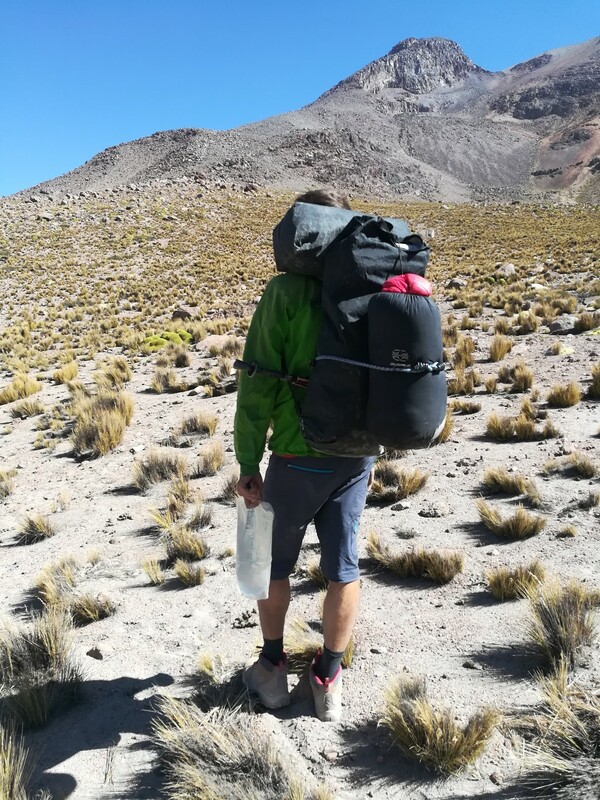 Heavy backpack on the way to the base camp. 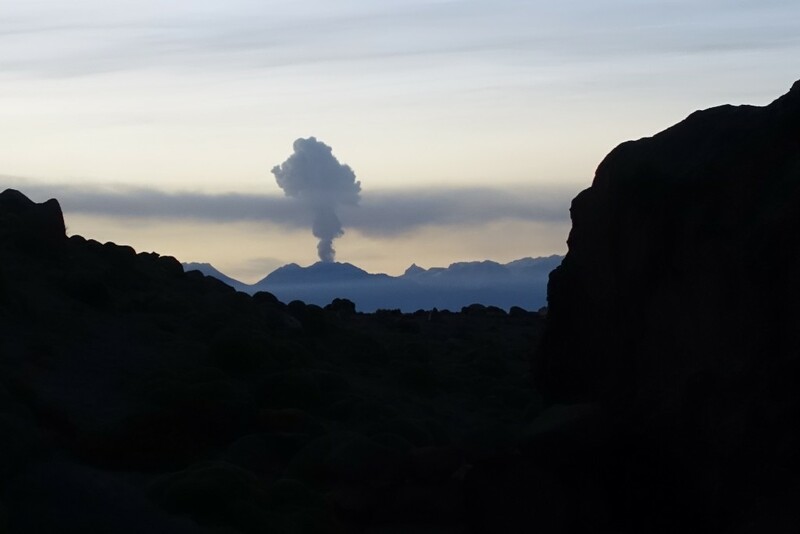 The active volcano comes into view again. We started at 3.00 a.m. and were very happy to reach the warming sunshine at around 6.30. We reached the summit after a bit less than 4 houres. Walking/sliding down the sandy slopes. 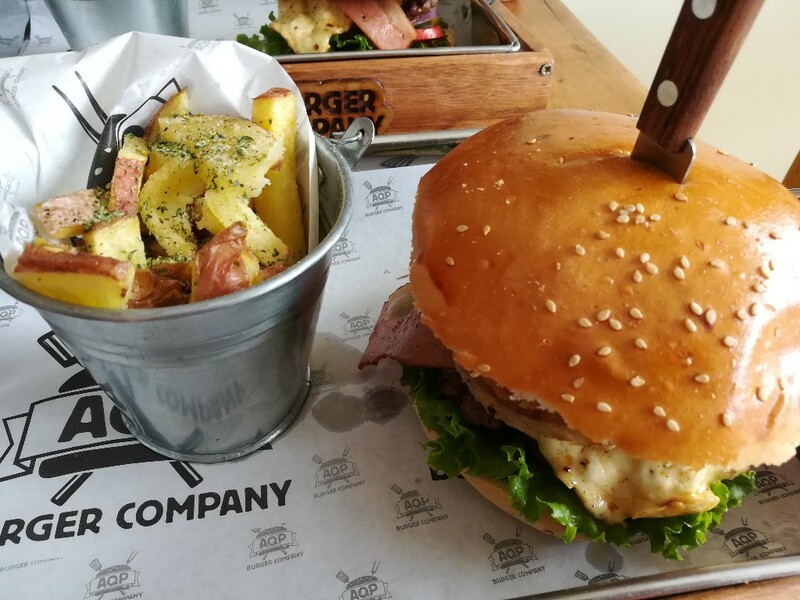 After a very long day we were defenitely hungry enough to eat this great burger and a big dessert. 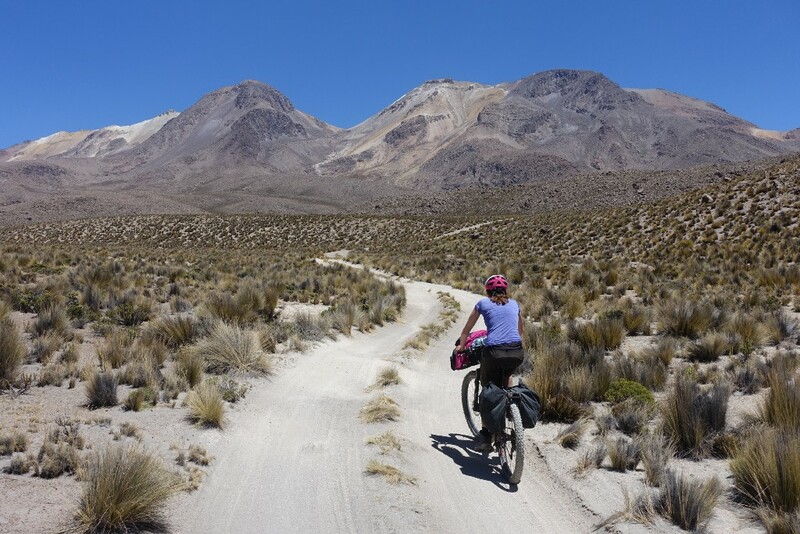 Biking to the basecamp is defenitely doable, but expect sandy roads and a bit of pushing. Plus-tires make things easier and you should try to pack as light as possible. Water is very scarce. 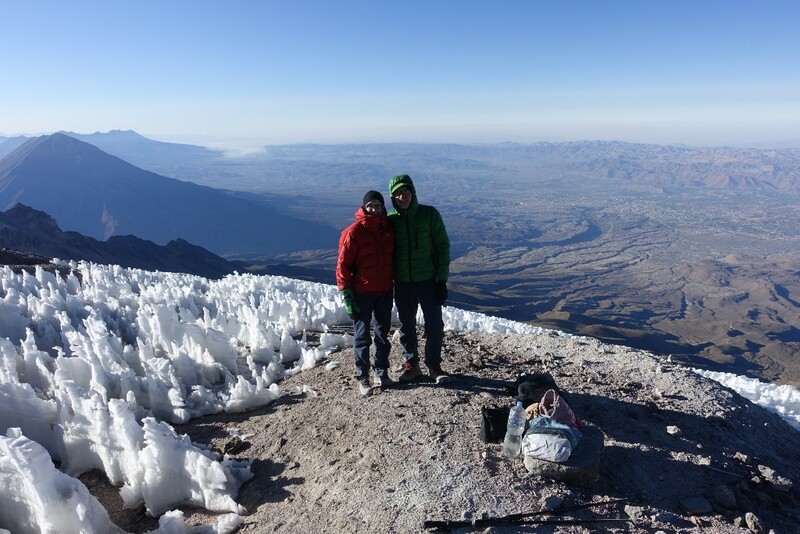 There is NO water between the start point and the outskirts of Arequipa. The climb to the summit is more like a trekking. 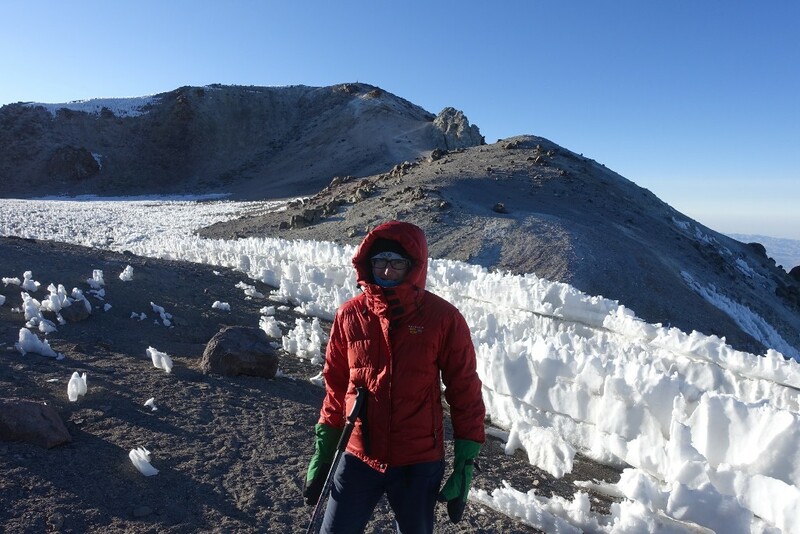 The challenges are the altitude and the cold.